Sen. Thad Cochran (R-MS) provided his latest head-scratching comment in public, this time joking he engaged in illicit activities with animals as a child. Cochran made the speech at the Forrest General Hospital in Hattiesburg, an area of the state known as the Pine Belt where his primary challenger, conservative state Sen. Chris McDaniel, massively over performed in last Tuesday’s primary. Cochran’s campaign spokesman Jordan Russell didn’t return a request for comment about specific details on what types of “indecent things” Cochran did “with animals” as a child, but Russell did brush it off to the Daily Caller. “I’ll check with my political correctness department and get back to you,” he told that publication. FreedomWorks, a Tea Party group backing McDaniel, has argued that the GOP establishment’s support of Cochran in the runoff could jeopardize the entire effort to win back the majority in the U.S. Senate. The night after McDaniel got more votes than Cochran in last Tuesday’s primary, FreedomWorks president Matt Kibbe called on the National Republican Senatorial Committee (NRSC) to ask Cochran to concede the election to avoid a runoff. The NRSC has–with Senate Minority Leader Mitch McConnell’s blessing– doubled down and gone “all in” for Cochran in the runoff. 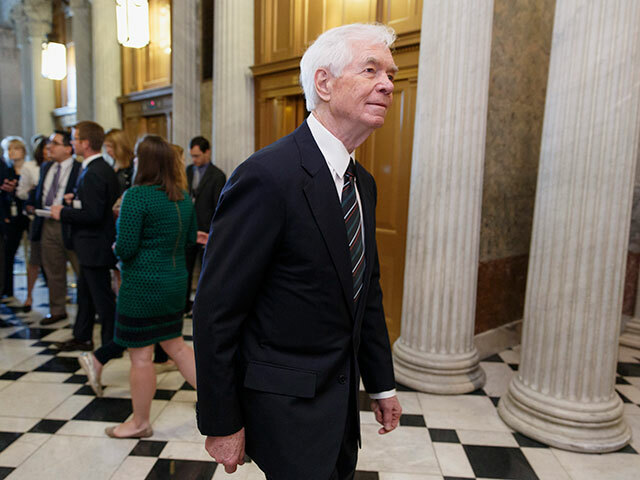 McConnell held a fundraiser for Cochran at the NRSC where several senior Republican senators attended earlier this week, raising more than $800,000 for Cochran.